Over the course of Five Fifteen’s previous albums, there has been a series of songs dealing with a character we can call the Golden Boy, a rock star going through the usual rock star things. “Long Hair Wildman Rides Again” (Progressive Hardrock Beyond the Mainstream), “Words of Jester” (Armageddon Jam Session Number Four), “A Riddle Joker” (Psychedelic Singalongs for Stadiums), and “I Don’t Remember” (Six Dimensions of the Electric Camembert), to name one off each release. 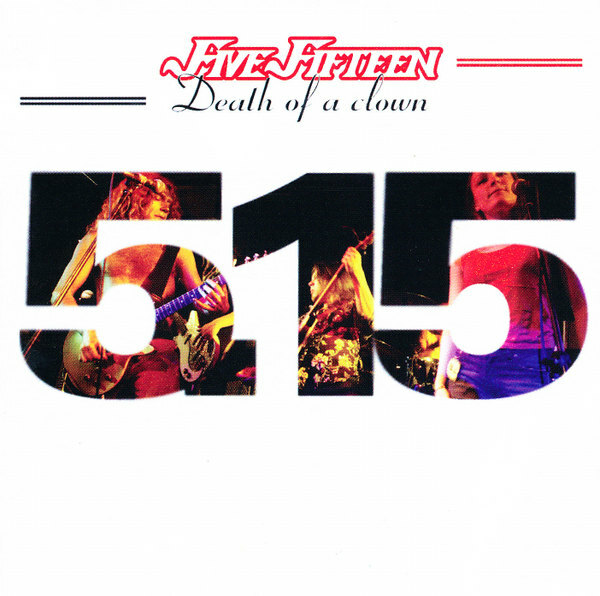 Now the picture is filled in by an entire CD devoted to his story, and in some ways, Death of a Clown is the culmination of Five Fifteen’s musical statement, just as it is the final studio recording from this incarnation of the band. Their familiar style, 70s-inflected hard rock with a splash of prog, is displayed to great effect, and there’s not a weak song in the bunch. “The Prostitute” starts things off with a bang. And their penchant for classic rock references in titles and lyrics continues with “Lick Your Fingers Clean” and “Season of the Witch.” Echoes of The Who, Thin Lizzy, Jethro Tull, and other classic acts thread their way through the music, from a ballad like “She Kicked Your Present off the Bed” to all-out rockers like “Stone Cold Heartbreaker.” Vintage keyboards (Hammond, Rhodes, and Mellotron) are prominent, and a string section adds depth on a number of tracks without getting in the way. Five Fifteen manages an enjoyable homage to the past without sounding stuck in it.